"297. Iron Bridge In Construction: Portage." 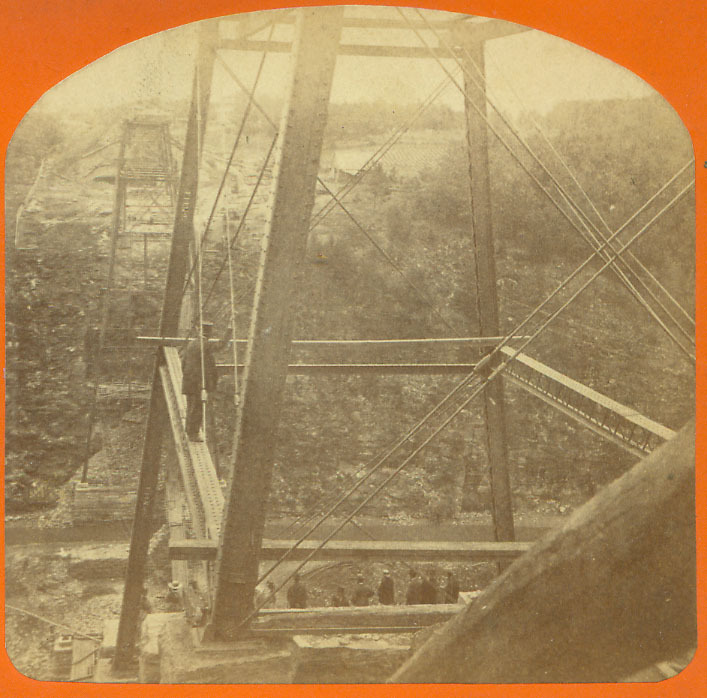 This rare image shows the actual construction of the Portage Iron Bridge. It would have been taken in late June or Early July of 1875. Two of the towers that still support the bridge today have been raised. Another image shows workers on the top of the bridge.